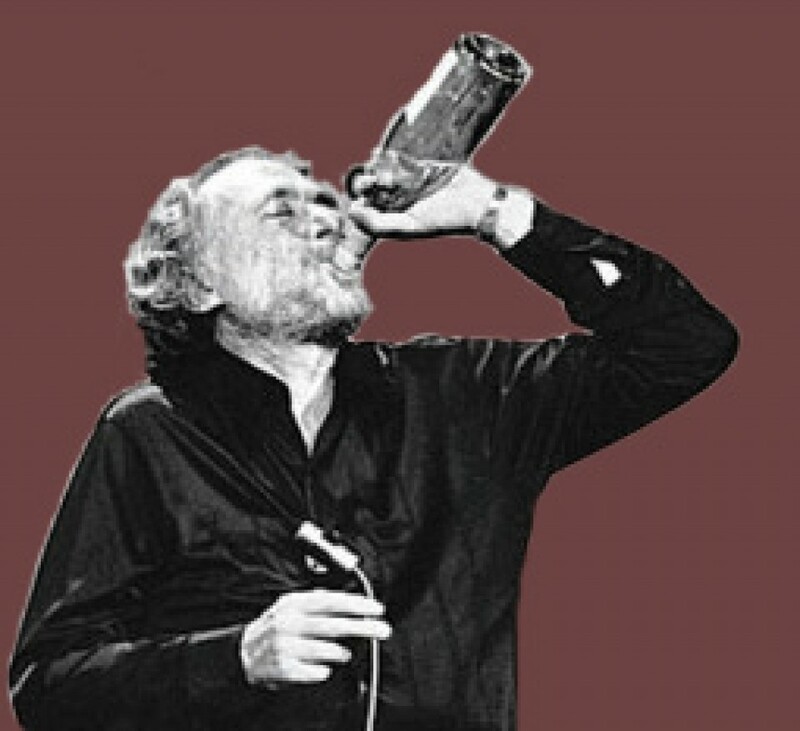 Other Reds – Would Bukowski Drink It? “Escape the everyday and take a little Truant vacay. This is our go-to pour when we feel too well to go to work. If these lush flavors can’t convince you to power down the gadgets and turn up the volume on a life well lived, then what will? I don’t recall where I picked up this Zinfandel blend recently, but I discovered it in my wine fridge and decided to give it a try last night while snacking on some cheese and fruit. I was not disappointed. The color of the wine is a deep ruby red to purple. Rich and luscious much like the flavor, but I am getting ahead of myself. The Truant has long legs in the glass, mainly due to it’s high alcohol content (14.4%). The nose of the wine is complex with berries and big fresh fruit in the front with cocoa, cherries, slight smoke, spice, clove cardamom, and a touch of cinnamon and wet earth. The taste of the wine is full of rich plums, blackberries, with light oak, smoke, spice, a rich earthiness and a jammy quality. The finish is long and lingers with velvet soft tannins and a very pronounced chocolate flavor. Very well balanced. Great mouth feel. A really nice find and quite enjoyable. As I mentioned I was eating some cheese and fruit while sampling the Truant. Like most Zinfandel wines this Zin blend will go great with sharp and robust cheeses like Blues, Gorgonzola, aged goat cheeses and Cheddar. It matched well with olives and balsamic cipollini onions as well as the salami and Spanish Chorizo I was also having. 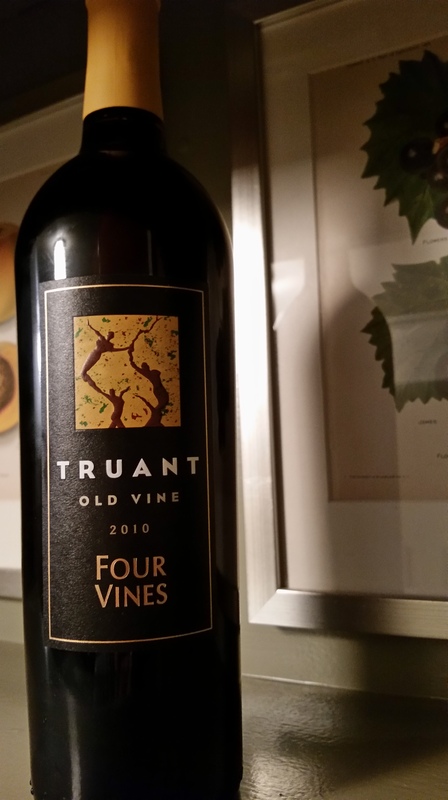 * The blend for Truant is actually not listed on the bottle and by calling the wine Old Vine, a term often associated with Zinfandel, it is a tad misleading even though it also does not say Zinfandel anywhere on the bottle. Damn marketing people. Would Bukowski drink it? Truant. More like just true. Gimme a glass. Having recently tasted the Trutina from Dunham Cellars at the Full Pull Wines 5 Year Pull Event, I was lucky that my friend Matt had bought a couple of bottles and shared one this past Friday. We won’t hold it against them that they suggested it was too expensive to purchase, but I’ll address that one of these days in a post about wine snobbery. The color of the wine is a nice ruby red with a slight touch of rustiness. Long legs in the glass (13.8% alcohol content). Nose of the wine is smokey with pronounced Oak, leather, pepper, spice, cocoa, red fruits: cherries and blackberries foremost. The taste was equally full of red fruits: cherries and blackberries with Oak, slight spice and a jammy quality. The Trutina has a long finish with soft tannins with well balanced acidity. Matt gave it 4 BUKS, while my fiance Nicole gave it only 3 BUKS. Keri, Matt’s wife, was not a fan. For pairings, this would match well with red meat and more full flavored dishes. For cheeses I would try Roquefort or cambozola. Stick to more bold flavored cheeses. I would also suggest dried cured meats with this wine as the saltiness will contrast the jammy, sweeter characteristics of the wine as well. The Trutina is available only direct from the winery and several local WA sellers. At last the winery had a very limited quantity of this vintage left. Would Bukowski Drink It? Find what you love and let it kill you. Pour me another glass, I am in love. 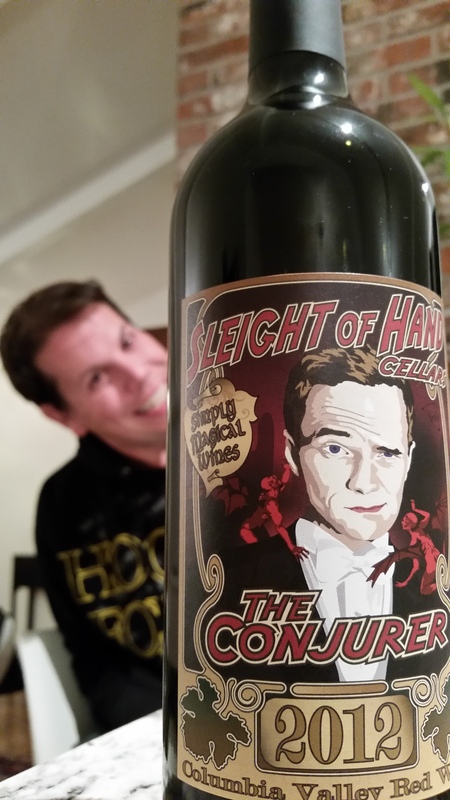 I am a big fan of Sleight of Hand Cellars and was surprised I hadn’t reviewed any of their wines so far. 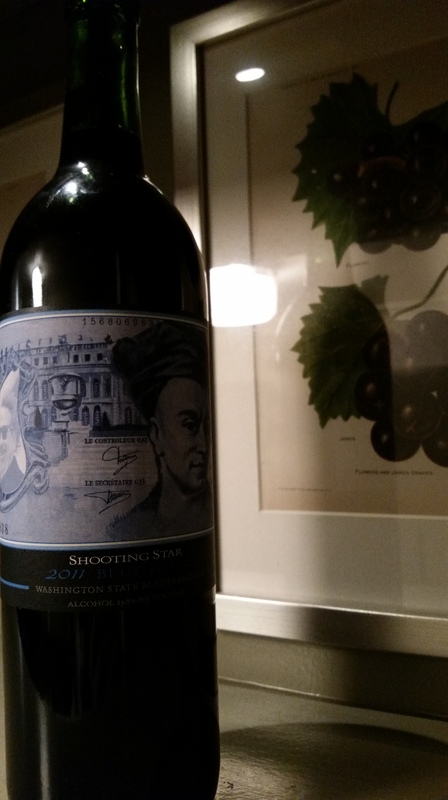 Having attended a tasting that included Sleight of Hand recently, I was thrilled when my buddy Jason offered a bottle to have after dinner at his and Stephanie’s house this past Friday. The Conjurer is a big wine and it’s color is a deep rich purple with long legs in the glass. The nose is full of fresh fruit: cherries, berries, and plums with a pronounced but not over-the-top oakiness. I also caught leather, smoke, with some pepper, wet earth and a touch of lavender and herbs (tarragon; licorice). The taste was equally full of red fruits with cherries (dark and ripe as well as tart) with oak, tobacco, and nice even long finish with very soft well-developed tannins. My only complaint was that we only had one bottle. It is very drinkable and easily recommended. For pairings, this would match well with any grilled and savory red meats. For cheeses I would recommend nice sharp Cheddar, Blues, Gorgonzola, the saltier the better. Fresh pears or granny smith apples will also offer a nice contrast. Figs, dried cherries, and plums would compliment the flavors of the wine. Oh and if you are wondering, the smiling lad in the background is my other buddy Matt whom I frequently drink (way too much) wine with on (way too many) occasions. Would Bukowski Drink It? Is that Doogie Howser on that label? What the hell pour me a glass! 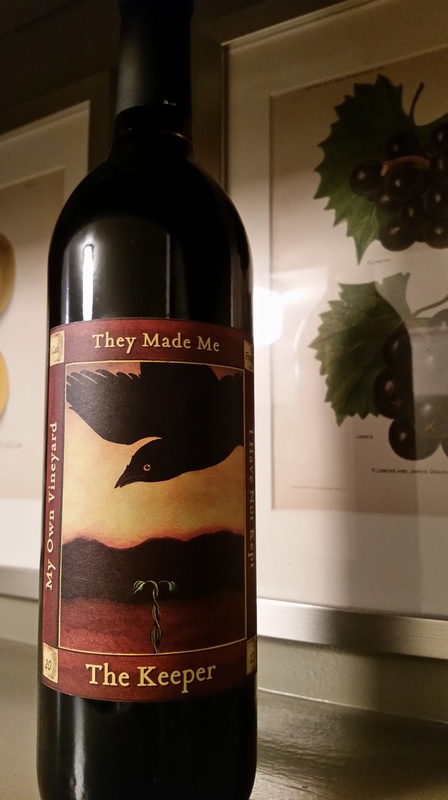 Being October and the season of all things Halloween, I was drawn to the striking image of a crow by artist David Ladmore on the label of the 2012 Rook from Corvidae Winery. Ladmore’s artist statement states “My work is a response to the beauty and simplicity of the things I find around me. In figure and landscape, careful study reveals the undercurrents and rhythms of existence.”. This sounds like an appropriate outlook for wine-making and wine tasting as well. So without further waxing poetic, out of the bottle and into the glass…. The color of the 2012 Rook is a bright plum purple. Clear to the edge and full of vibrant hues. Medium to long legs due to the 14.1% alcohol content. The nose of the wine is smoky with oak in the forefront with touches of tobacco, spice, cherries, wet earth and stone with cocoa on top. Very pleasant and warming. Perfect for this time of the year when the nights get a little crisper. The taste is peppery but again with the French oak and cherry in the forefront followed by other red fruits (raspberry) as well as leather, smoke, slight clove and currants. The finish is medium to long as well as slightly dry with lingering soft well developed tannins. Being a devote Merlot hater (blame Sideways), I was surprised after tasting to discover the blend was 52% Merlot. I had guessed higher Syrah but lower Cab percentages. Perhaps the notes from the winery on the cooler, higher elevation create a more appealing Merlot to my palate, since I usually find them to be bland and too predictable. 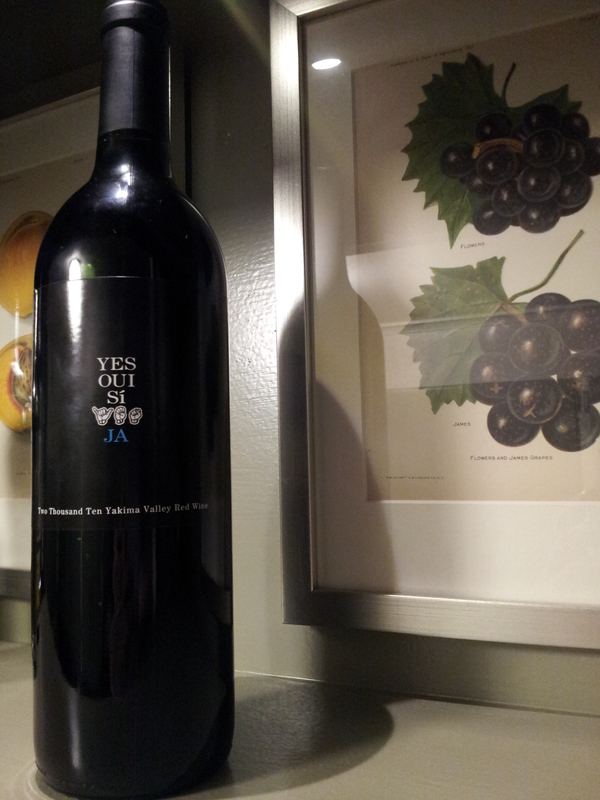 The Cab and Syrah that balance out the remaining blend also make the Rook a very drinkable and enjoyable red blend. Easily recommended and a good deal for under $20. 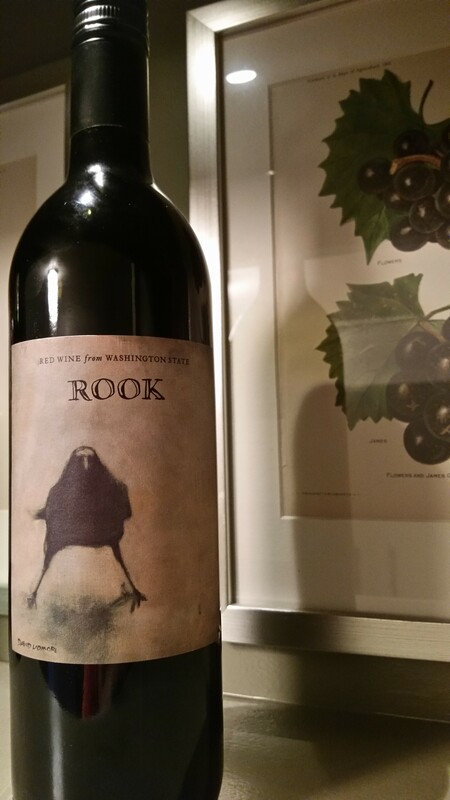 For pairings, the 2012 Rook would go nicely with slightly drier cheeses (Manchego, Grana Padana) as well as robut soft cheeses (Blue, Gorganzola, Cambozola) and of course any salted cured meats (salami, prosciutto, etc. ); but what doesn’t? Corvidae is Owen Roe’s value-driven second label. Much of the fruit for Corvidae is sourced from Owen Roe’s 280-acre Outlook Vineyard. David O’Reilly is meticulous in the winery and in the vineyard for both Owen Roe and Corvidae. More info on Corvidae Winery. Would Bukowski drink it? I would certainly end up forever crying the blues into a coffee cup in a park for old men playing chess or silly games of some sort. So Rook to Knight blah-blah-blah – give me another glass.